Within the enterprise environment, it is logical to separate employees into specialized teams: sales, customer service, and technical support to name a few. Within these teams, each employee understands their role and responsibilities which ultimately means keeping the customer happy. The typical startup / small business owner wears all “hats” in the organization – from sales, support, to billing. If the owner is lucky, there is one or two team members that they can rely on to take on multiple roles and responsibilities. With that in mind, how are the inbound calls handled? Who answers the potential sales calls? Who deals with customer support? Without proper division of labor and assigned tasks, potential and existing clients may be left “hanging”. In the ideal scenario, a potential customer calls in and is directed to either the business owner and/or the team member who can handle any questions or concerns regarding their product and service. And the other way around, the owner and/or team member should know the call type, sales or support, before they answer. How does this work? Calls are simply call forwarded to your mobile or desk phone. Learn how to start prioritizing your inbound calls using an automated IVR system. I am looking to grow my small buisness to it’s very limits . I have 3 people that work with me . – Have my website updated and rearanged. Sounds exciting… what type of business? With our communications platform, you can have unlimited team members (employees) and departments. 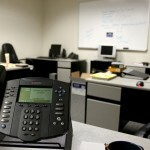 Depending on the skill sets of each team member, you can direct callers directly to that person. We are launching our beta platform shortly, signup here to be one of the first to test drive it. Unfortunately, at this point, we can only help with your customer service needs and requirements.